We drive the new Santro to answer the most important question: Should you buy one? 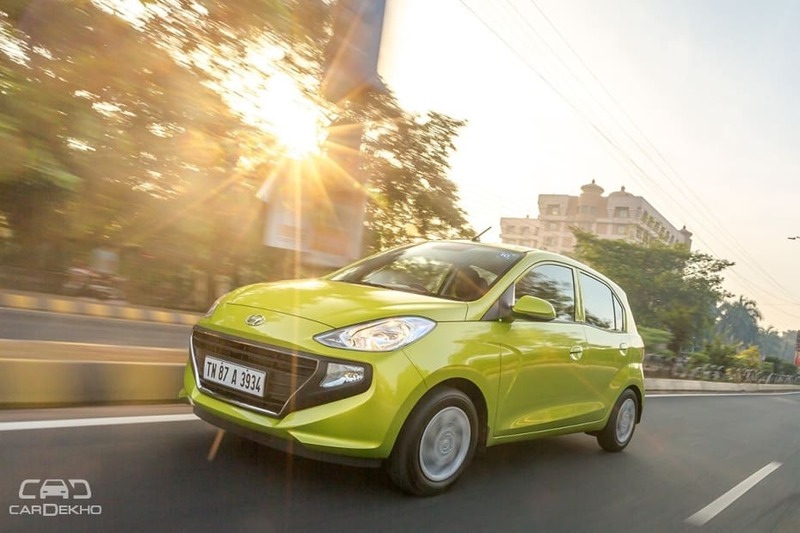 The fact that the new Hyundai Santro is longer, wider and more feature-rich than the last-gen model holds no significance if it does not come together as a product that can offer better value than its present-day rivals. 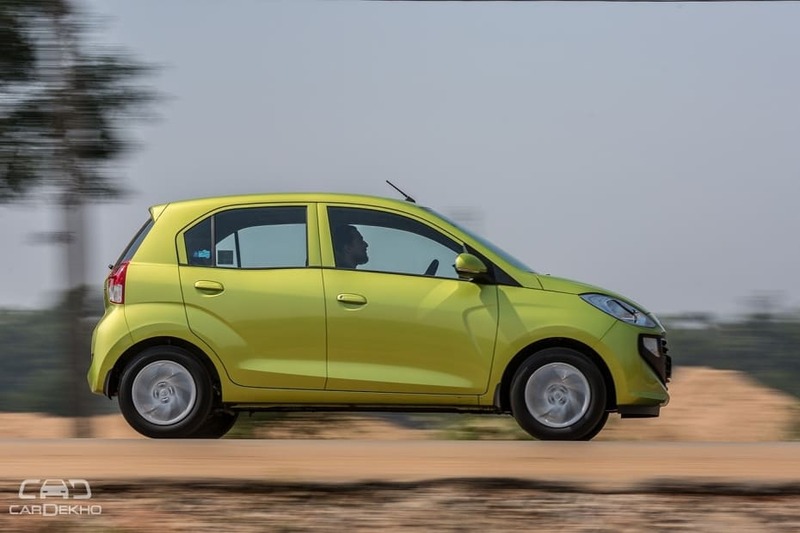 So we parked any emotions that we may have attached with the brand 'Santro' on the back seat and took the new Santro out for a few-hundred-kilometres spin to find out just how good a product it is. The 2018 Santro is not the biggest car in its segment, but it's not the smallest either. It's amongst the widest, though. Standing next to even the Grand i10, the Santro does not come across as a car from a segment below size-wise. So whether it's your first car or an additional purchase, it's not going to look entry level. Design-wise, it looks more like a successor of the i10 than Santro. 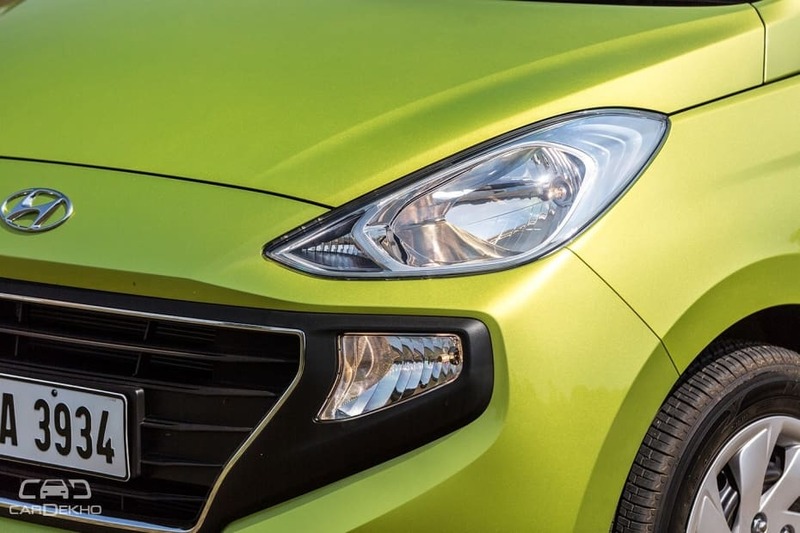 Take for instance, the headlamps, which bear a strong resemblance with the pre-facelift i10. The front may look odd to some, especially the wide black plastic base and upright fog lamps, but I liked it from the day I saw it at the exclusive media unveil. I’ll also take the liberty to mention here that the overall front design reminds me of the older Porsche Cayenne from front quarters. Agree or disagree? There’s minimal use of chrome on the outside and it’s likeable. The door handles are old-fashioned flappy units, like on the original Santro. Chrome applique on these would have anyway looked overdone, so it's a good thing Hyundai chose to keep things subtle. Oddly, though, the new Santro doesn’t get alloy wheels even on the top variant, and that’s a miss in our books. You won’t be able to get the Grand i10’s alloys fitted onto the Santro, although wheel size on both is 14 inches (PCD is different for both the cars). 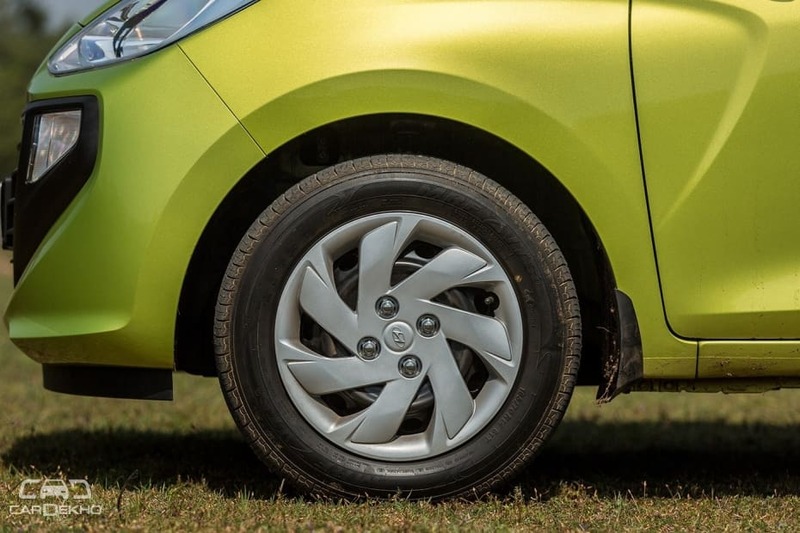 So you’ll have to find the right ones in the aftermarket as Hyundai is still in the process of developing new alloy wheels for the 2018 Santro. On a positive note, absence of alloy wheels (and LED DRLs) in the equipment list means both the Sportz and Asta variants look largely similar on the outside. 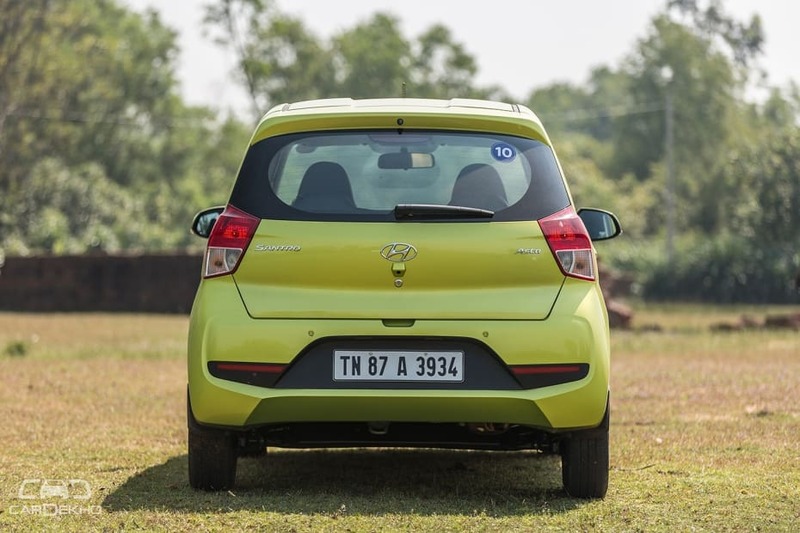 The Santro looks particularly wide at the rear, thanks to the black plastic cladding on both sides of the licence plate on the rear bumper. There’s no rear spoiler, which could have made it look sportier, but we’re told the hatch will soon get it as an accessory. Overall, unlike the WagonR, the new Santro is not a traditional tallboy. It looks modern. 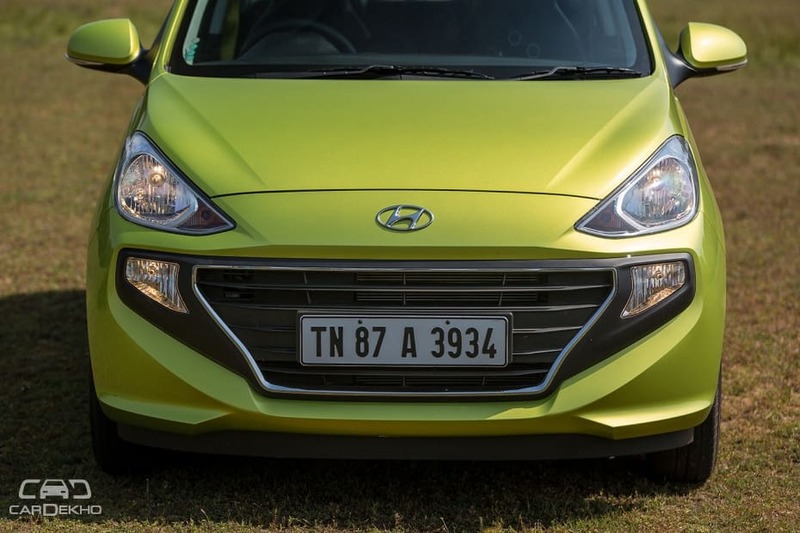 Although it does get Hyundai’s signature cascading grille, the front design is distinctive even compared to other Hyundai cars. The quality of plastics, switchgear and practically everything inside the cabin is appreciable. Without a doubt, the Santro would make you feel like you’re sitting in a shrunken premium hatchback -- it appears that well-built. And with this, it has certainly raised the bar quite high for its peers in terms of interior quality. Talk of design and the first thing that will wow you are the propeller-like air conditioning vents on both ends of the dashboard. 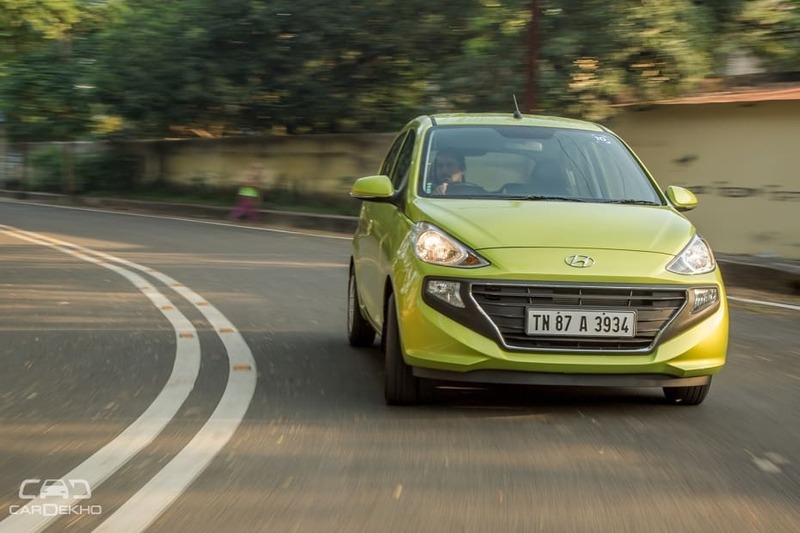 I have to agree that there’s some influence of Mercedes-Benz here -- and while these are not done in metal but in plastic in the Santro, you have to give it to Hyundai for executing these so well that they don’t look cheap. Downside is, these vents can’t be shut completely and the AC is quite powerful. Adjusting the manual air-con to a lower temperature setting would help. Driver controls for front and rear power windows are situated near the gear lever instead of the window. 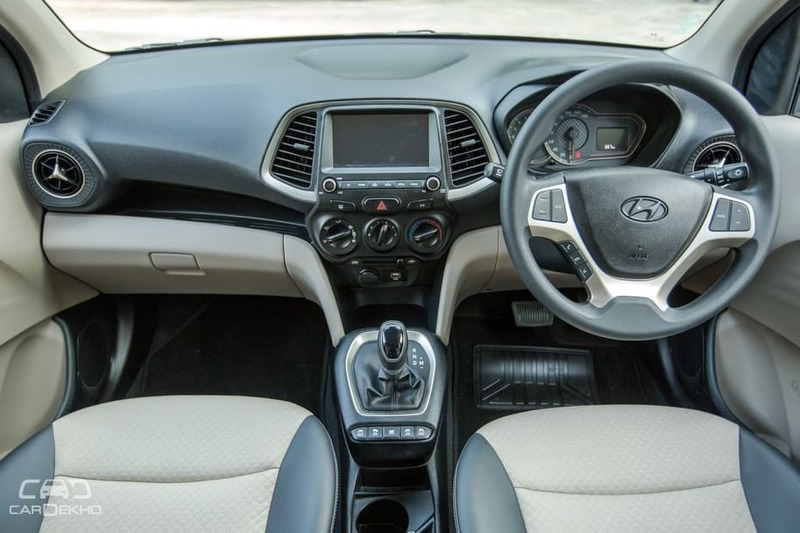 Hyundai might have done that to keep costs in check but again, the quality and placement of switches is superb and the Santro doesn’t appear to be built to a price. There are a few other things that you should know since these might affect your buying decision. The Santro doesn’t come with a height-adjustable driver’s seat or tilt-adjustable steering. 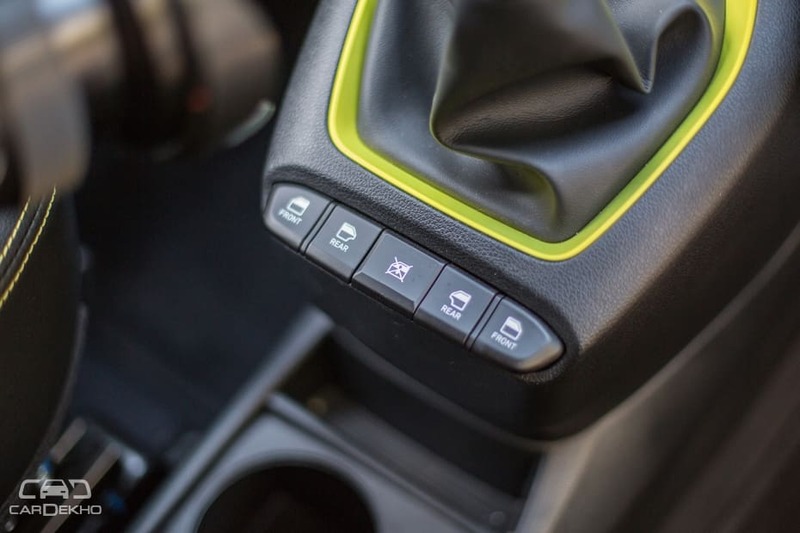 Those with average build won’t have an issue getting into a decent driving position, but if you’re taller than 6 feet you might feel the need for either tilt steering or height-adjustable driver’s seat (to lower it) or both. The rear row gets its own AC vents and with the front seat set to my liking (I’m around 5’9”), there’s enough space for someone of my build to sit behind the driver comfortably. So seating 4 average-sized adults shouldn’t be an issue. But there are no adjustable headrests at the rear, so it’s not the best of cars to have if the rear seat is occupied most of the times. The Santro’s cabin is done in a dual-tone colour combination of black and beige. 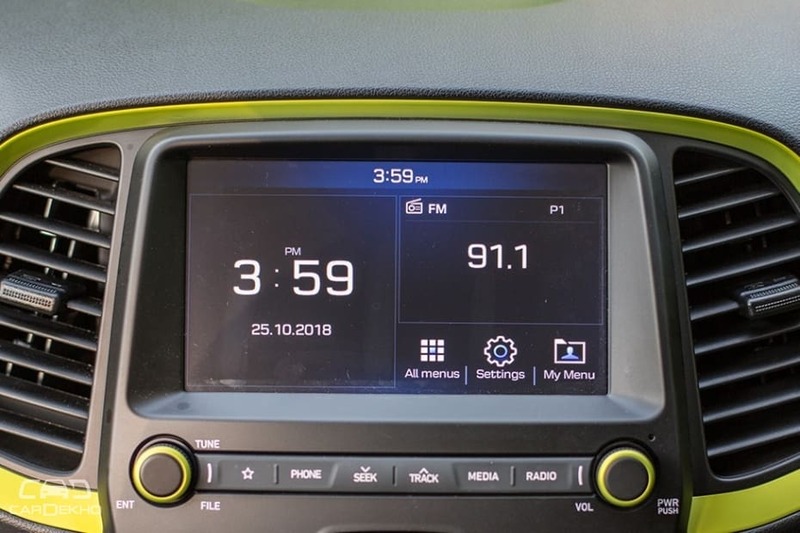 But if you buy the Santro in Diana Green exterior colour, which is available from the Magna variant onwards, you get a black interior with green inserts on the dashboard, around the gear lever and the rear AC vents. 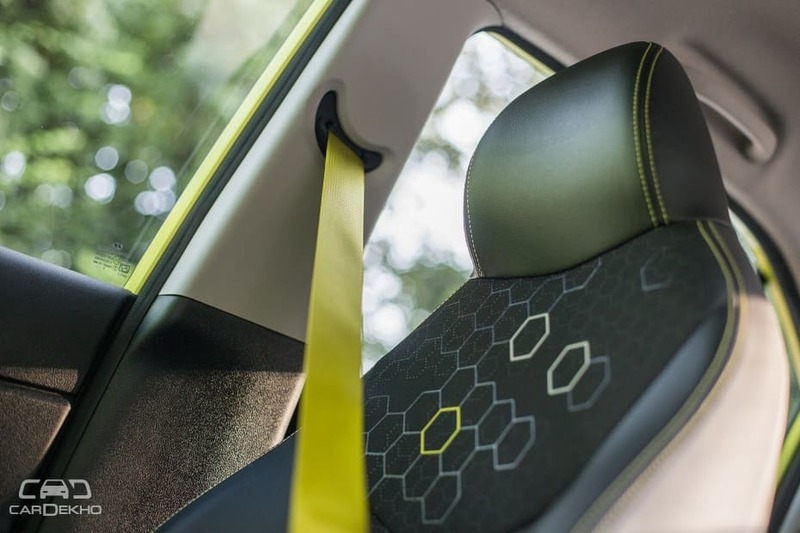 What’s most striking are the green seatbelts -- youngsters are bound to love them. If I were to buy the Santro, I would buy it in Diana Green exterior colour only. Like on the outside, there’s minimal use of chrome on the inside as well, irrespective of the interior colour combination. 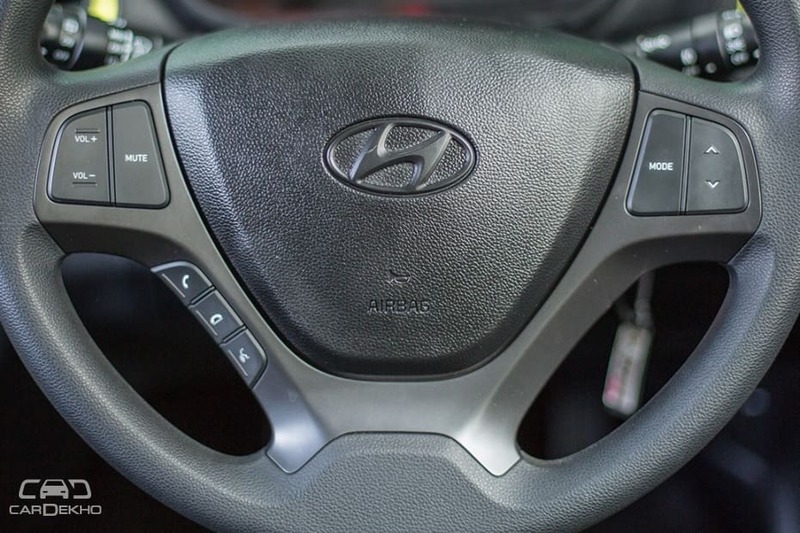 Even the Hyundai logo on the steering wheel is not done in chrome. Hyundai might have done that to contain costs, but it’s it is not something that I particularly mind. 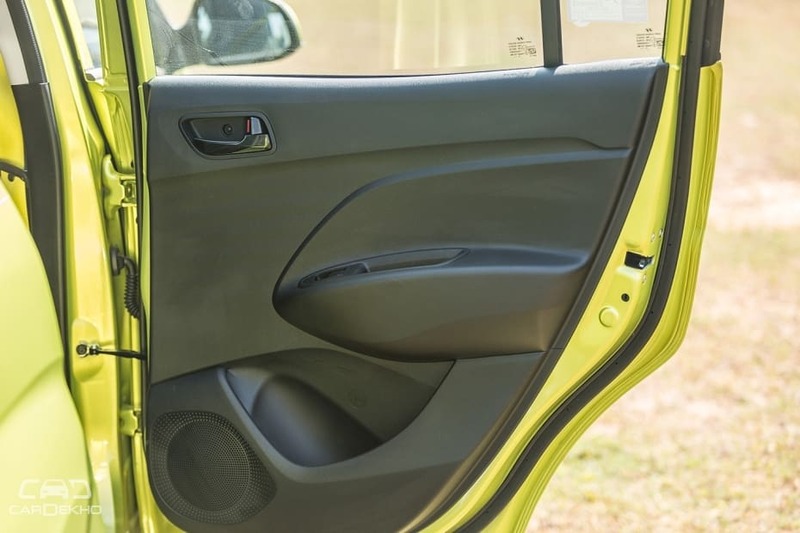 Since the Santro is not a traditional tallboy hatchback, you don’t walk in straight into the cabin. Instead, you’re are seated a tad low, especially at the rear. The headroom inside is decent for average-sized adults both at the front and the rear. There’s a downward slope around the rear window line that you would appreciate when seated at the rear. It makes the cabin feel airy. Boot space is rated at 235 litres -- that should be enough for a family of four with luggage for a weekend. Overall, the Santro is pitched as a family car and it will do a good job at that -- if the family is nuclear. Adults at the rear will feel the need for headrests over long distances. 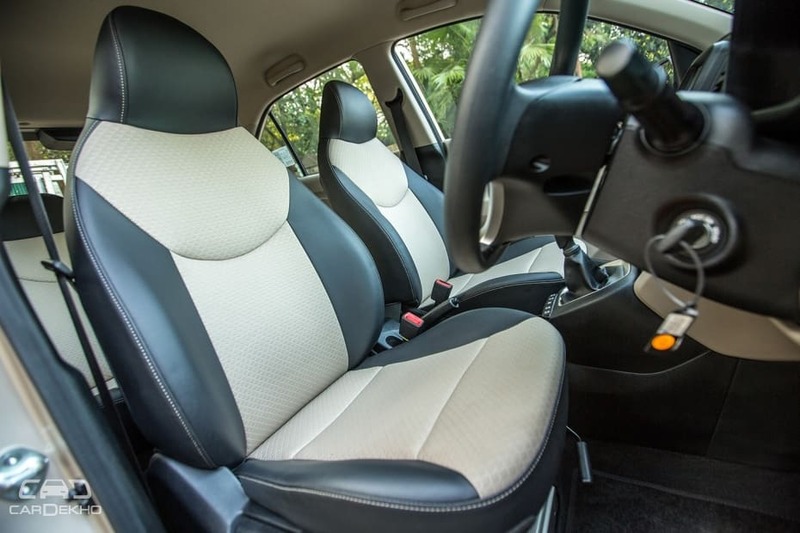 Older parents, who would otherwise step in or out of the previous Santro, will find the new Santro’s seating position a little low. Talk of safety and the new Santro comes with ABS with EBD and driver-side airbag as standard. While that may be at par or more than what the competition offers, a new generation vehicle bearing the ‘Santro’ moniker was the ideal platform for Hyundai to set a new benchmark in terms of safety. 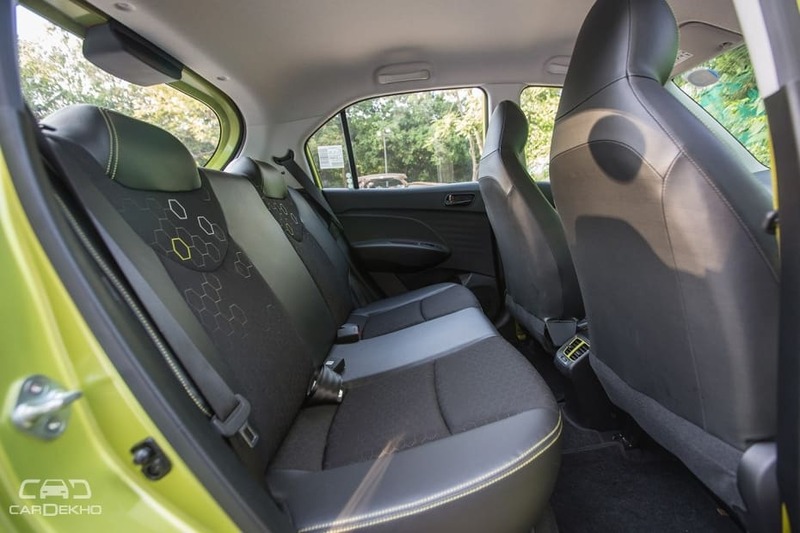 Dual airbags begs to be standard in a vehicle pegged as a ‘family hatchback’. For now, only the top Asta variant comes with dual front airbags and front seatbelt pretensioner with load limiter. Tech-wise, there’s the 7-inch infotainment system on offer with Apple CarPlay, Android Auto and Mirror Link on the top two variants. 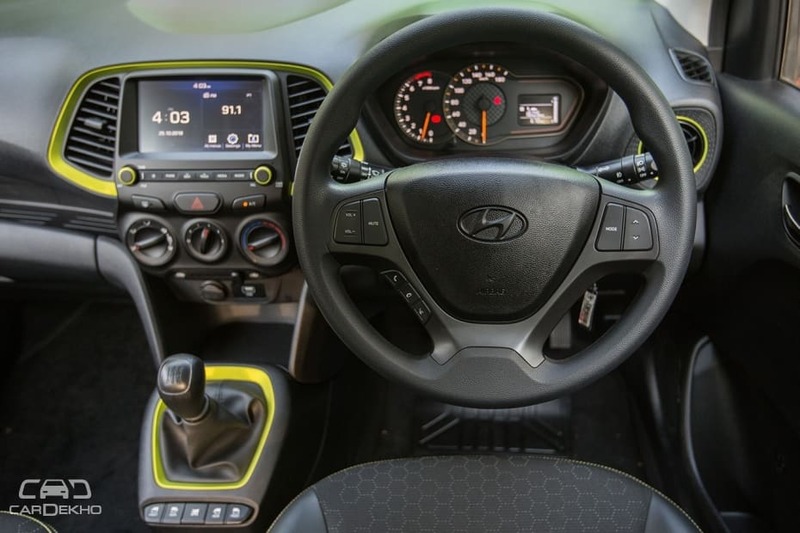 The Santro Magna, the most affordable variant with AMT, gets a 2-DIN audio system, so Hyundai's got the bases covered on this front. Compare it with its rivals and the rear AC vents is the one major add-on for the Santro. And that’s a little disappointing because of three reasons: One, it’s a Hyundai product, so we expect more value to be offered in terms of equipment. Two, it’s a new-gen product but it has not managed to set a benchmark in terms of features on offer. Three, rivals offer more features than the Santro already. For the new Santro, Hyundai’s got the old 1.1-litre Epsilon engine back that did duty on both the older Santro and the i10. The 4-cylinder engine has been reintroduced for two reasons. One, for the sake of product distinction: the Eon gets a 1.0-litre engine, Santro a 1.1-litre and the Grand i10 a 1.2-litre unit. 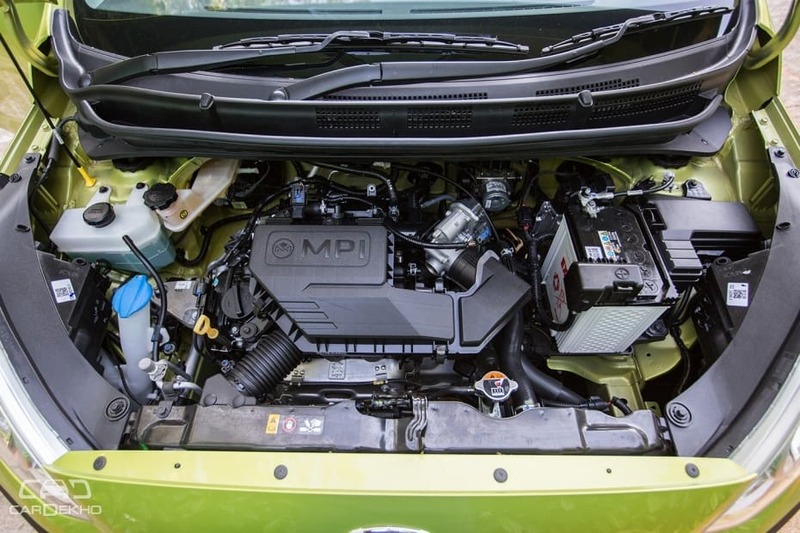 Two, being a 4-cylinder engine, it’s more refined than the Eon’s 1.0-litre, 3-cylinder unit. The Santro’s engine makes 69PS of maximum power, which is on par with its rivals, barring the Tiago, which makes 85PS. The Santro can be had with both manual transmission & AMT. The same engine can also be had with a factory-fitted CNG kit, but power output for this combination drops to 59PS. Within the city limits, if you’re driving calmly, you’ll be able to drive at around 50kmph in 4th gear. Try doing it in 5th and you’ll realise that you’ll have to shift down so that the engine has enough juice for you to accelerate. Doing the same speeds in 3rd gear won’t make much of a difference as it would pick up pace at roughly the same way until the engine is revved beyond 4000rpm or thereabouts. Verdict? Drive calmly, appreciate the interior quality, pair your phone and let the car entertain. Out on the highway, the engine again likes to cruise rather than change pace. The Santro can do a 100kmph all day in top gear at around 3000rpm and without much effort. Picking up pace will require you to drop a gear or two. Good thing is, dropping gears is a delight. 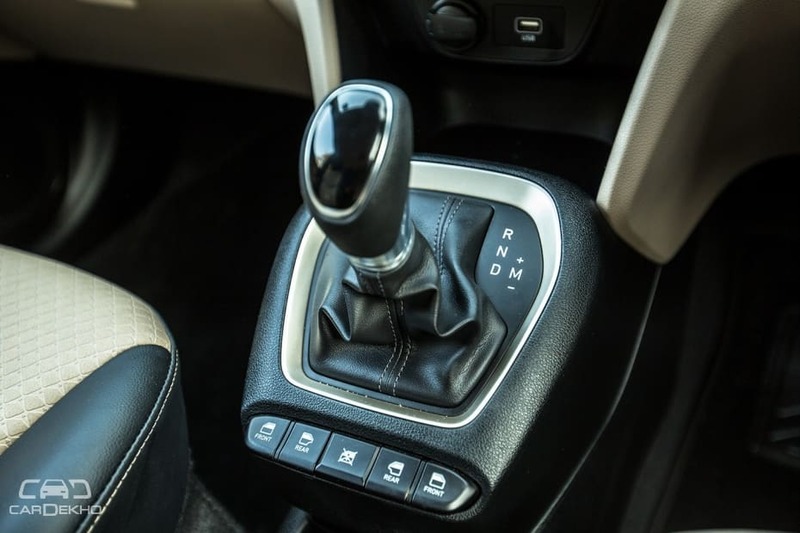 The manual transmission’s shifts are precise and short and the clutch is light. The AMT complements the engine’s character really well. Since the engine doesn’t pick pace rapidly, you don’t feel as much head-nod in the AMT when it changes gears than what you do in some other cases. 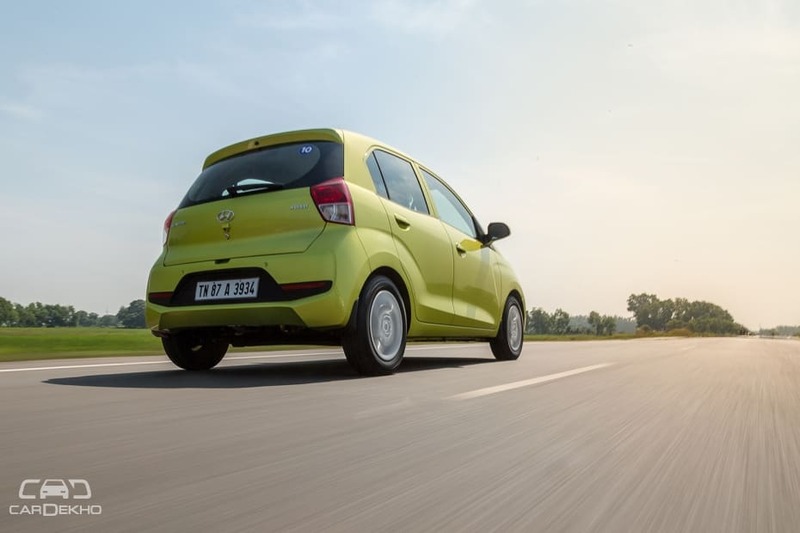 We drove the Santro in its top Asta and Sportz variant shod with 14-inch wheels. The Santro’s cabin remains planted while tackling road uncertainties in a manner that we expect from cars from a segment above. 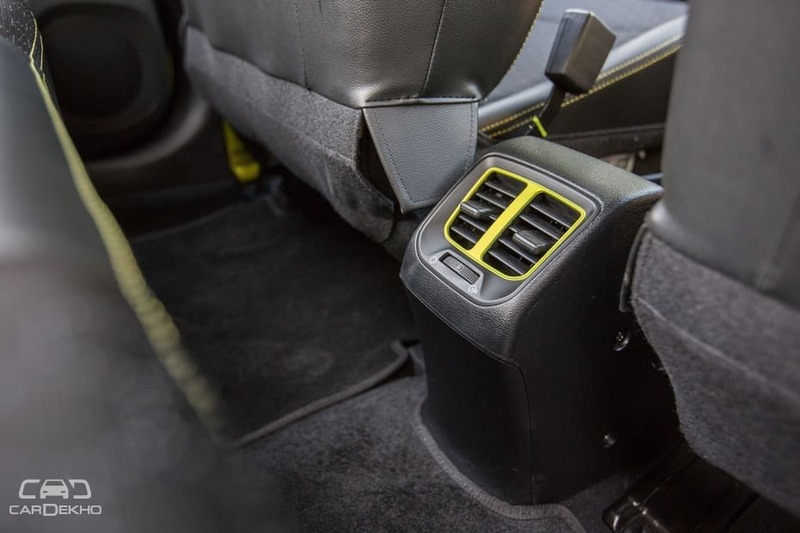 The suspension isn’t overly tuned for comfort and there’s just enough stiffness to ensure the car regains composure quickly once it deals with road inconsistencies. The Santro’s steering is light at city and parking speeds. On the move and at speeds of 80kmph, it feels confident as it becomes a little heavier. The Santro feels planted like a car from a segment above when driven at highway speeds. Variants - Which one to buy? The Santro comes with driver-side airbag as standard but a passenger side airbag is available in the top variant only. That deters us from recommend the lower variants to those users who will mostly drive with a front passenger on board. For those who mostly drive alone, the Magna and Sportz variants offer good value in terms of features on offer. 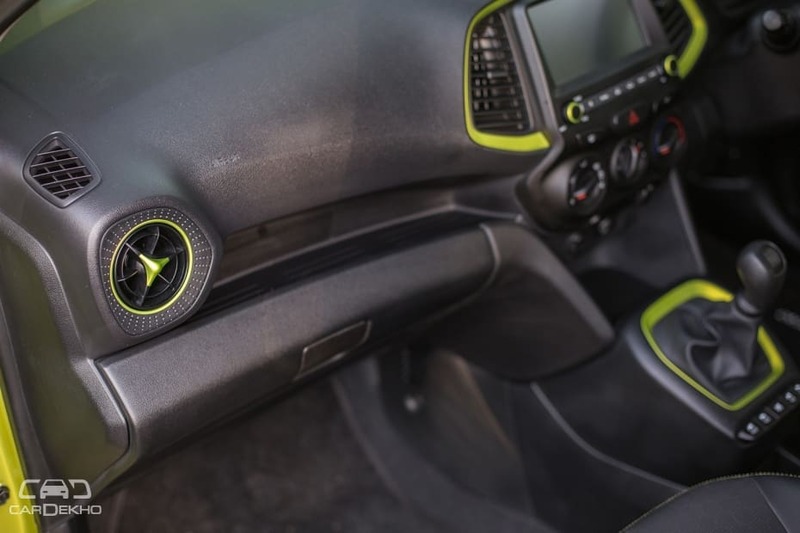 Youngsters who’re looking for a car to drive to college will particularly like the Santro in its green exterior colour with black cabin and green seat belts. Both these variants are available with AMT, so there’s a choice of powertrains as well. The Santro’s top Asta variant is available with a manual transmission only. So, the Santro didn’t impress us on two counts. First, it lacks dual airbags, which we think should be standard in any car that’s on sale in India. And secondly, the ‘at par’ features list that misses out on tilt-adjustable steering wheel, adjustable headrest, alloys and DRLs, at least in the Asta variant. We’re used to seeing Hyundai bettering rather than just matching the competition. Where the Santro truly shines is with its interiors, which feels modern and from a league above. The quality of plastics and materials is so good that you can compare it with non-Hyundai cars from not one but two segments above. It’s also sporting that familiar 4-cylinder engine with a new AMT that matches its relaxed character quite well. 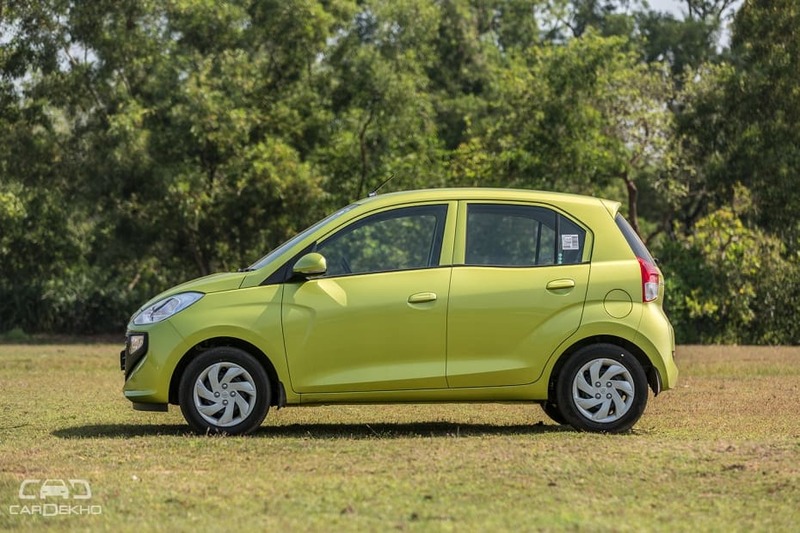 As a package, the new Santro is a mixed bag. On the one hand, it leaves us wanting in the features department and on the other, it surprises us with its interior quality and sorted mechanicals. While the older model left the scene playing the value card, the new version offers a more premium experience, but at a price. So if you're someone who's not looking for outright value from your car but will not mind spending more for quality, the Santro should be your pick.